40. Individuals and their caregivers are the greatest untapped sources of information, knowledge, and motivation. Optimizing care requires engaged individuals and caregivers. This was what the great physician William Osler taught his students in the late 19th century. His words are still true today. In Osler’s time most of what physicians dealt with were new or acute conditions, in which case determining the diagnosis was paramount. Today, although we[*] still struggle with diagnosis and management of acute conditions, we also must deal with a plethora of chronic conditions that require longitudinal care. Because of this, more than ever we must appreciate the key role the patient and their caregiver[†] plays in their healthcare. Although we have wonderful medical training and are surrounded by amazing technologies and brilliant specialists we can summon at the click of a mouse, we must understand that we specialize in and are knowledgeable about medicine, but the patient is a specialist in and has special knowledge about him or herself. For this reason we should view the patient as a partner in her own health and healthcare; only the patient can provide that unique perspective. First we must gather information about the patient’s health complaint and the history of their current illness. This fact-gathering exercise is essential to diagnose the patient’s condition. But it is essential that we take the time to listen to the patient, rather than interrupt after only 12 seconds, which studies have shown is typical of physician-patient encounters. We must have a dialog that includes thoughtful questions and reflection. By taking the time to do this properly, we can avoid much unnecessary testing and specialist referrals. Once this is done, the patient and physician together—and not the physician alone—should be setting the treatment goals. What outcomes are important to the patient? For example, the patient may wish to play ball with his grandson. Using his controller medications for his chronic lung disease is our goal but, in this case, may help him achieve his goal. In these days of “quality measures” it is tempting to use medicine’s metrics as a proxy for the patient’s. But patients are much more likely to participate in their care if they are working towards goals that are meaningful to them. Along those lines, unless the patient is unconscious (or in restraints), no treatment plan can be successful without the patient’s participation. For example, only about half of patients take their prescribed medications. Studies have shown that patients are much more likely to participate in a care plan if they are involved in developing the care plan and the rationale explained. 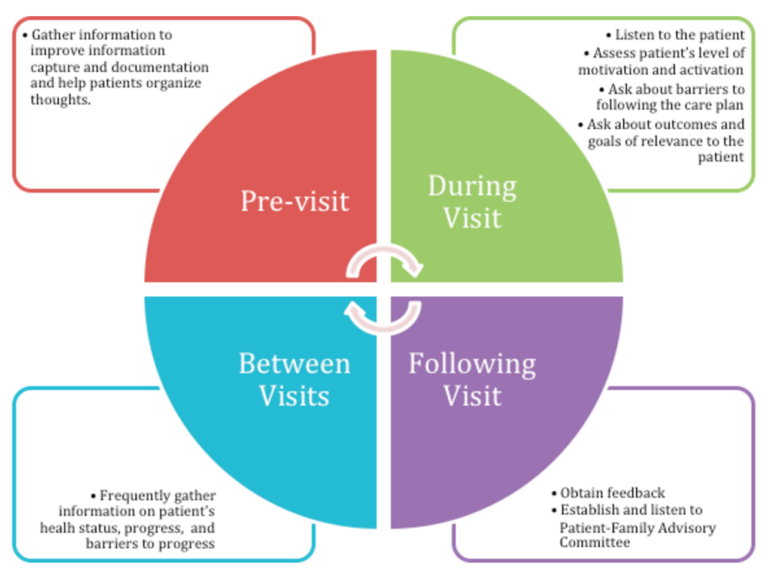 Involving patients in their care planning and setting health goals involve shared decision-making and require that patients have adequate information to participate in this process. In 1976, Warner Slack at Harvard Medical School wrote that “[T]he largest and least utilized healthcare resource is the patient him/herself.” Dr. Slack had spent nearly a decade studying computer-mediated patient interviewing and concluded that patients, as the primary source of their own health information, should be encouraged to provide that information directly to improve care. 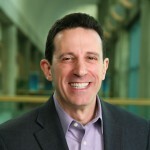 Although extant technology only permitted those interactions to take place in the physician’s office, today we can extend this and acquire data directly from patients in an ongoing way wherever they may be. By doing this we can monitor patients’ symptoms, health status, biometric data (such as weight, blood pressure measurement, and blood glucose), and progress against their care plans as often as necessary, which can improve outcomes at a low cost and expand health system capacity to manage more patients. Finally, patients and caregivers are valuable sources of feedback. Ideally, we should encourage feedback after every encounter with clinical care. We should learn from the feedback, while recognizing that patient satisfaction is only one of many measures of high quality care. For example, a patient who was given antibiotics on demand for a viral respiratory infection may be highly satisfied but has received low-quality care. Incorporating patients and families feedback in aggregate through a patient-family advisory committee is also an important way for physicians to hear the patient’s voice. The figure lists types of information gathering activities in relation to traditional clinical appointments. Engaged patients will be the best partners in their care. To do this we must provide them the data they need to be active participants, which includes access to their care plans as well as the rest of their medical record. But we must also provide tools that encourage engagement, such as encouraging a variety of communication modalities (such as e-messaging and video chat) and easy ways to schedule appointments and request prescription renewals. By reducing friction in care delivery patients will be more likely to engage in their healthcare, leading to improvements in clinical outcomes, reduction in cost, and improved patient and clinician experience.